A Modern Twist to romantic Blooms. 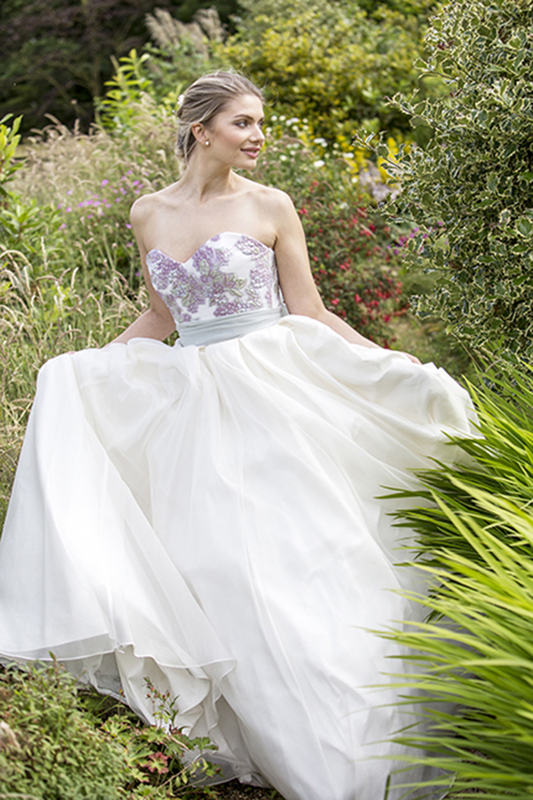 Waisted boned bodice with appliquéd silk organza ditzy blooms in lilacs, blues, greens and a hue of metallic. 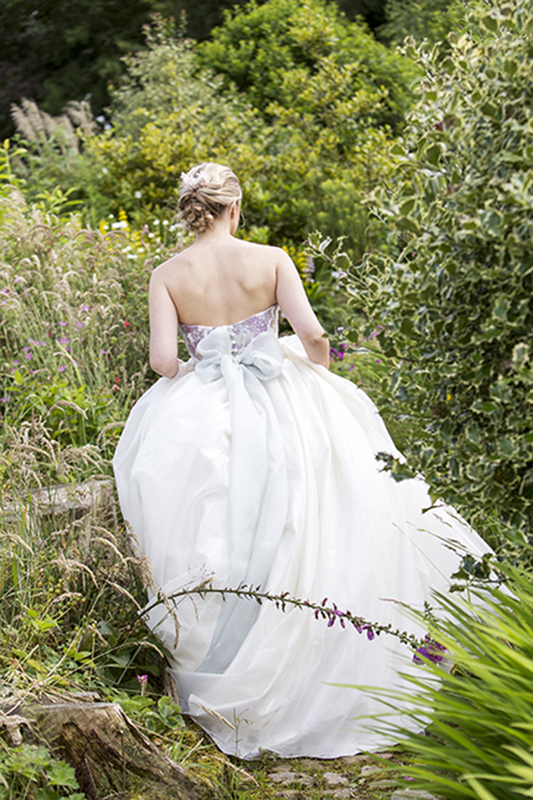 With the sweetheart neckline drawing the eye to a billowing box pleat silk and organza skirt with hidden side pockets.